Welcome CASA supporters and volunteers! 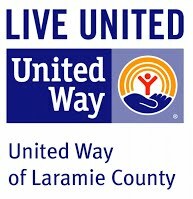 CASA of Laramie County is a non-profit organization that trains community volunteers to advocate for the best interests of abused and neglected children in the juvenile court system. The mission of CASA of Laramie County is to provide a court-appointed voice for abused and neglected children-protecting their fundamental right to be safe, treated with dignity, and the opportunity to grow in a safe environment. CASA began in Laramie County in August 2002 and has been serving children since July of 2003. Since CASA began in Laramie County, almost one-fourth of the abused and neglected children who have been through the court process are being served by a CASA volunteer. Currently, more than three-fourths of the children are being served. To give a child a CASA is to give them a voice. them hope is to give them the world.